Pairing up your favorite things is normally a great thing. Watching sports and drinking. Listening to music and drinking. Cooking and drinking. Which is why hiking and drinking has always worked well for those who like venturing outside and further afield. When embarking on those long escapades, it's normal to prep a handy hip flask with a spot of rum, or to even pack a fine wine for when the conditions are just right. But what if you fix a destination that produces your preferred tipple, such that you can fully immerse yourself in the culture and customs that go into manufacturing that special beverage. These are the best experiences -- ones that allow your whole body to enjoy the process, while also getting philosophical with some of the best drinks the world has to offer. So here's to the best spots for hiking and drinking. Or hriking. Or hinking. Or something. Already after the second beer I was struggling. Drinking 13 beers on the king-daddy of pub tours started to seem overly ambitious. The 13 Breweries Trail around Bavaria's Upper Franconia region puts you near a third of Germany's breweries. As my host put it: "You have to like two things to live here: meat and beer." 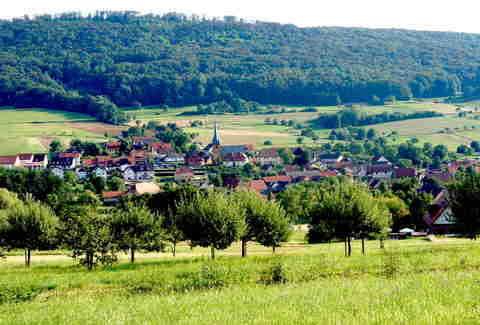 The area is also especially well-known for its rauchbier, i.e., smoked beer, some as pungent as a smoked herring, rich in hops and flagrant as a ripe ale. Starting at the Brauerei Drei Kronen in Memmelsdorf (user tip: take one of the hour-long brewing tours), it's an 18-mile hike through spectacular German wilderness, picturesque villages, quaint churches, and the sort. But pace yourself: there really are 13 breweries to sample, each one with its own particular brew. German beer can be particularly heavy, especially if your lunch consists of schweinshaxe mit sauerkraut (glazed pork knuckle), which doesn't all sink well with extended periods of traipsing across warm fields. By beer number four at Brauerei Knoblach, my energy was back and I was scaling valleys with a spring in my step and a sense of directional wisdom that only the inebriated can claim. It's an ambitious route to cover in one day, and as the sun set, my belly and my legs called quits one brewery from the end, in the delightful setting of Geisfeld's Griess Keller. The people of Bamberg, just a two-hour drive from Munich, worship beer, and each brewery on the way offers a unique take on the old staple. Shoot for this trip in September and October, around Oktoberfest, the peak season for regional fetes: with bands, local ceremonies, and even more reason for grilling. The Camino de Santiago (or, for Anglophones, the St. James Way) is easily among the world's most famous hiking trails. It also happens to take you past some of Europe's best vineyards, where in certain areas the wine literally flows on tap. Following the pilgrimage trail to the Cathedral of Santiago de Compostela in Northern Spain, the route can carry you as far as 500 miles, crossing Portugal, France, and Germany. "This was without a doubt the most incredible experience of my life. Walking every morning at 6am through the Pyrenees and into the vineyards of sunny Spain," says Olivia Carr-Archer, a student based in Berlin, who visited the region a few years back. "The days walking often finished at around 2pm so there was ample time once you had kicked off your walking boots and tended to the blisters, to go to the local eatery and sample the local wine." 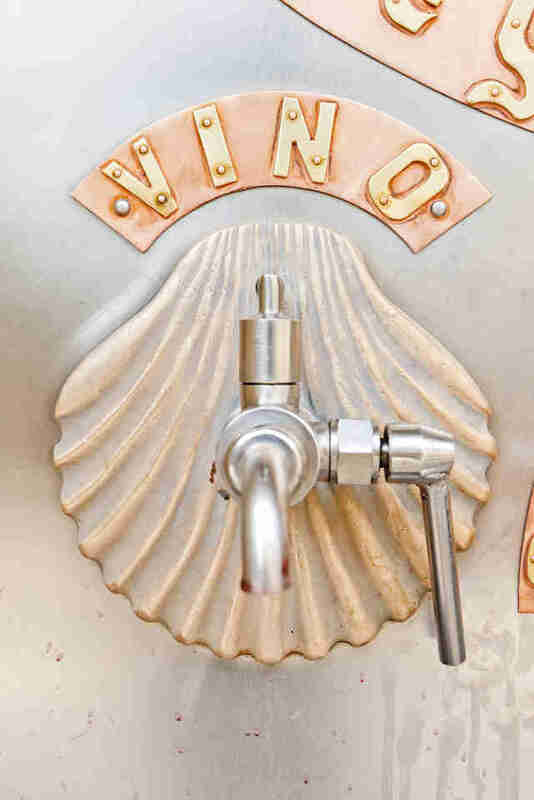 Among the stops: the free-flowing wine fountain at the ancient Monastery of Irache in Ayegui. The wine fountain was built for the legitimate pilgrims but is available to all those on the walk. If you fill up extra bottles expect to pay, she says, for a wine that itself wasn't fantastic. "But the more I drank," Carr-Archer says, "the more palatable it became." Whether you do it all, or tackle only a portion of the route, the wine bounty can stretch through the Rioja, Mencía, and Bordeaux wine regions. Blisters be damned. 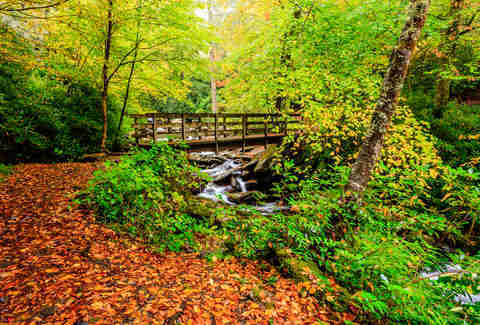 The 2,200-mile, Georgia-to-Maine trail makes the Camino de Santiago look like a skip through the park. If you dare embark on such a trek, then a drink or two along the way is required. Luckily the East Coast prides itself on having some amazing breweries, and there's even a pub crawl on the way for those wanting to keep it real. It's just that at times, you might have to hike days to get to the next bar. "There are a ton of crazy stories," says Kellen Beauregard, a student and homebrewer in Honolulu, when asked about his experience hiking the trail in 2015. He started the trip on April 2nd at the Springer Mountain southern trailhead, finishing at Maine's Mount Katahdin on September 6th, clocking in a total just shy of 2,000 miles. Along the way he found excellent breweries and bars, including Outdoor 76 in Franklin, North Carolina; Smoky Mountain Brewery in Gatlinburg, Tennessee; Spring Creek Tavern in Hot Springs, North Carolina; the Devils Backbone Brewing Company in Roseland, Virginia, which if you call ahead will pick you up off the trail and fill you with breakfast; and the Spencer Trappist Brewery in Spencer, Massachusetts. The best beers along the way, Beauregard says, included Devils Backbone's Vienna Lager and Catty Wompus Belgian IPA, and Firestone Walker Pale, "from a killer liquor shop in Dalton, Massachusetts." You know about the hike's amazing sunsets, locales, locals, and potential to change your life. But great beers en route should entice you to carve out five months for the long walk. Mezcal, tequila's smoky, more refined sibling, is manufactured in various states in Mexico, perhaps none more famously than in Oaxaca. This mountainous area is pocked with something like 2,000 distilleries, with various options for hiking -- as well as biking -- available to those who visit. A close friend of mine who spent a week wandering the area between various rustic distilleries was able to recall vividly how good the mezcal was, above any other facet of the trip. Unlike the other routes, on this list, it's not recommend to rock-up and adventure the region on your own. 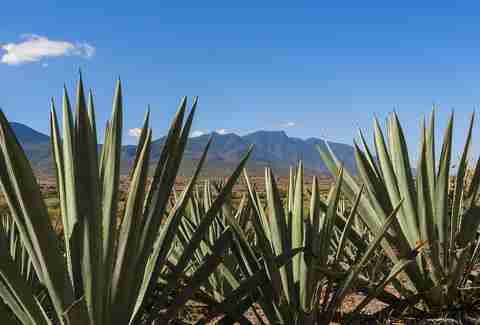 The local Zapotrek hiking team comes highly recommended, escorting visitors between the various agave fermentations. The Plantation Tour (starting at $120 per person) takes you between various distilleries, providing meals, sampling options, and a rundown of the drink's backstory -- some of the finest ecotourism on the planet. If that doesn't hold you, there's a bounty of mezcal markets in Oaxaca, the state capital. In the summer, top it off with an annual all-you-can-drink bash -- the Feria Nacional del Mezcal festival. You could scarcely get more synonymous with Scotland than a Scotch tour through the country's famed Highlands. England's more laid-back neighbor (the guys who didn't vote for Brexit) is famed for its beauty, landscapes, and scenery: options abound for how to drink your way through its many distilleries. Some of the best trails are in the Cairngorms, around the River Spey, where more than half of the country's whisky distilleries are based. The 65-mile Speyside hiking trail takes your through valleys, along streams, and over fields, with backdrops straight out of Braveheart. Long gone are Wallace's warriors. You're more likely to bump into farms and whiskey castles nowadays. 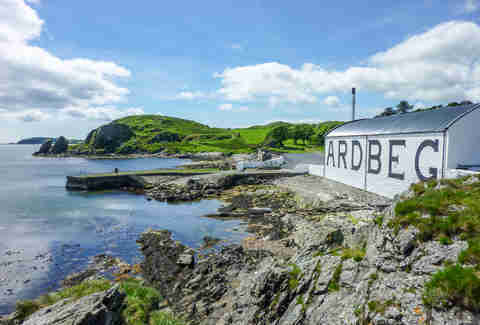 "The once-illicit trade in the famed Scottish 'water of life' has now been replaced by the world-renowned distilleries of Glenlivet, Glenfiddich, and Aberlour to name a few," Dan Greenwood, who works for local touring agency Macs Adventure, says in an email. No one regulated whisky distilling until the past 150 years or so, and you can still pick your way across the old smugglers trails between the modern distilleries. Greenwood explains: "I sit enraptured listening to stories of a bygone age, and of course, enjoy nosing the aroma and tasting the myriad of expressions that one can find; subtle, sweet, honey, rich, robust, quaffable bourbon and sherry tones." Scotch is meant to be enjoyed in Scotland. Fun fact: when the Vikings first landed in North America a thousand years ago, they dubbed it Vinland for its abundance of grape vines. Now you, too, can go explore American wines, though your trip is likely to look less like dragon-ships careening around Canada and more like the 2004 comedy Sideways. 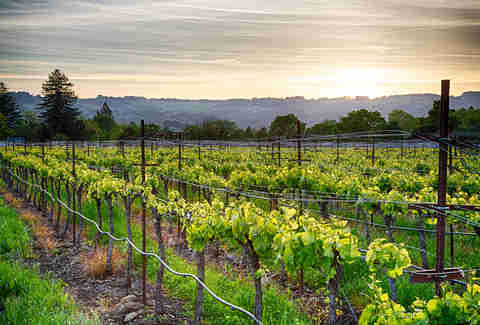 The Northern California climate and geography that offer exquisite grapes also make this region ideal for hiking: mild-to-steep inclines, seasonal weather, and vintners keen to share a chardonnay with passing clientele. Julie Simonton, who runs a construction company on the West Coast, recently completed a four-day excursion in the region that included visits to Ravenswood, Sebastiani, Buena Vista, Pangloss, Hamel Family Wines, B.R. Cohn, and Ahh Winery. "For me, the combination of the hiking and the wine tasting was wonderful," she says. "Since we were getting exercise, there was no guilt associated with drinking wine and eating the wonderful food. It felt extremely relaxing -- and indulgent -- to just sit and drink wine and look at beautiful scenery." Straight up. And if you haven't seen Sideways, remember: take out your chewing gum before sipping.